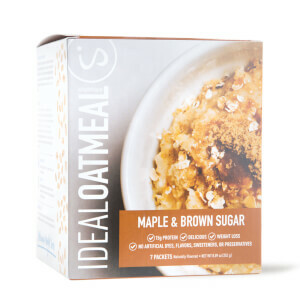 IdealChips are the perfect weight loss staple for your kitchen. Stay full with 10 grams of protein while still crunching on your favorite snack! If you need something spicy, but also a little sweet, this chip is for you. IdealChips come in bold and vibrant flavors that will delight your taste buds. 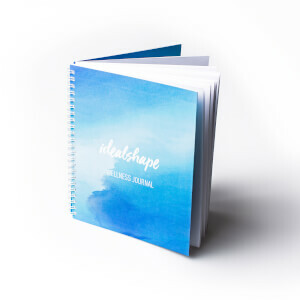 They are the perfect addition to your meal plan. From Sour Cream and Onion, Sweet Thai Chili, and BBQ flavored IdealChips, it will be hard to choose your favorite flavor! Most potato chips on the market are covered in oil and grease. The crunchy texture combined with all of the salt can make them so addicting! 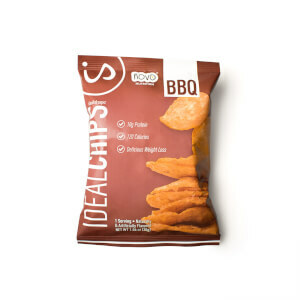 IdealChips keep the same crunchy texture without the offensive oil and grease. 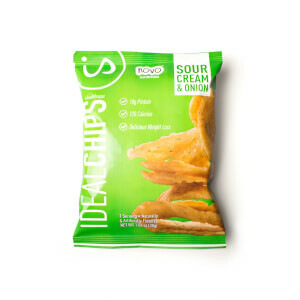 IdealChips are crunchy, baked crisps that pass every taste test. We don’t fry our IdealChips, because the baked texture keeps your mouth happy! Potato chips don’t have much protein and they’re very high in fat, calories, and carbs--which means you’ll keep reaching in the bag for more. IdealChips are packed with 10 grams of protein and only 120 calories per bag, so you’ll be full & satisfied after your delicious snack! Soy protein, potato (potato granules, potato flakes, potato starch), tapioca starch, sunflower oil, thai sweet chili seasoning (sugar, salt, spices (chili, coriander, ginger, aniseed), onion powder, garlic powder, yeast extract, tomato powder, citric acid, molasses powder (molasses, maltodextrin), herb (lemongrass), spices extract (paprika, capsicum, chili), rosemary extract. Perfect way to beat your chip craving! They are really good and they keep you full. Love the flavor and the crunch. i love them. i use them for dipping. This flavor is def my favorite!! Great tasting chips and also satisfying at the same time. These chips are so good!!! They are crispy and full of flavor!! So glad you added this to your line of products!! !